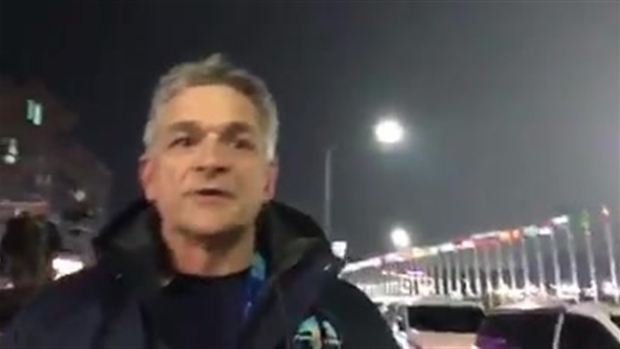 Bay Area Proud reporter Garvin Thomas and photographer Robbie Beasom are on assignment in Pyeongchang and reporting across multiple digital and social platforms. Below you'll find just some of the highlights from their adventures. 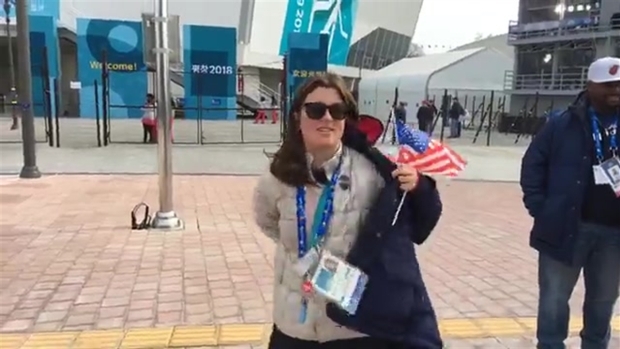 You can follow them on Twitter (@GarvinThomas and @BeasomeONE), on Facebook and on Instagram (@garvinthomasnbc and @beasom_pics) to see all of their latest photos and videos right from the heart of the Winter Olympics. 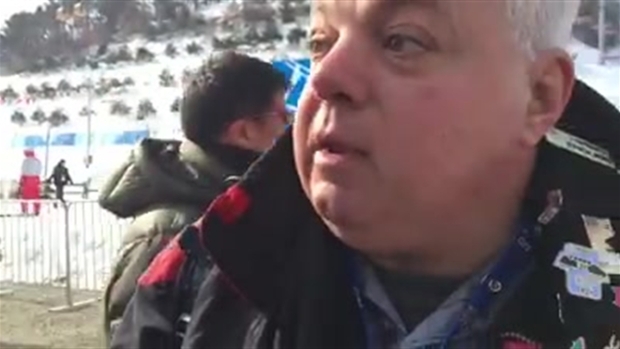 NBC Bay Area's Garvin Thomas chats with Mark Connelly; commentator for sliding and Helen Upperton; analyst for bobsleigh and skeleton and for Vancouver Olympian. 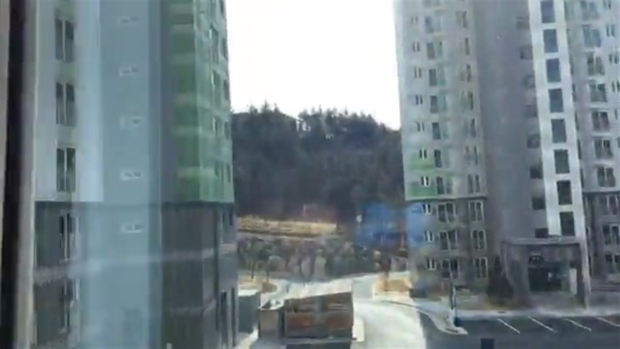 You want to check out the countryside of PyeongChang? 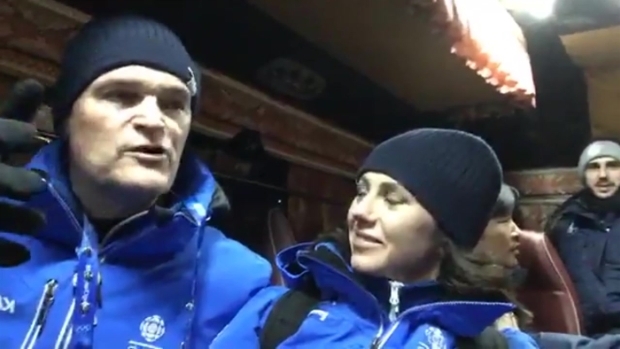 We’re live on our way to the downhill venue to watch Lindsay Vonn go for gold. Garvin Thomas reports. 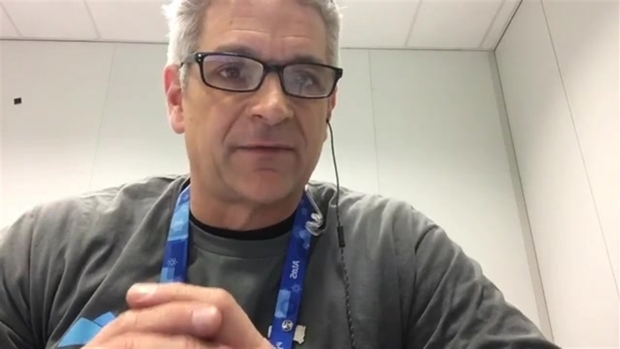 NBC Bay Area's Garvin Thomas answers all of your questions about the 2018 Olympic Winter Games. 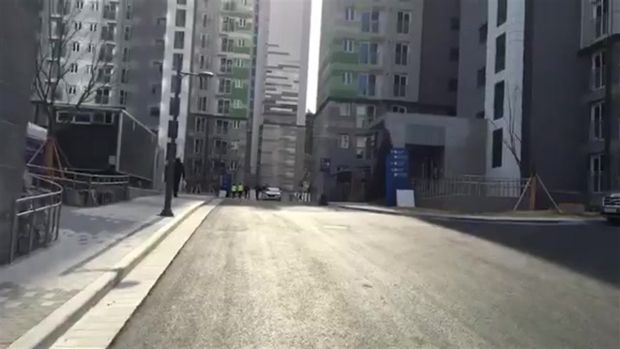 NBC Bay Area's Garvin Thomas takes viewers on a trip to the biathlon venue at the 2018 Olympic Winter games. 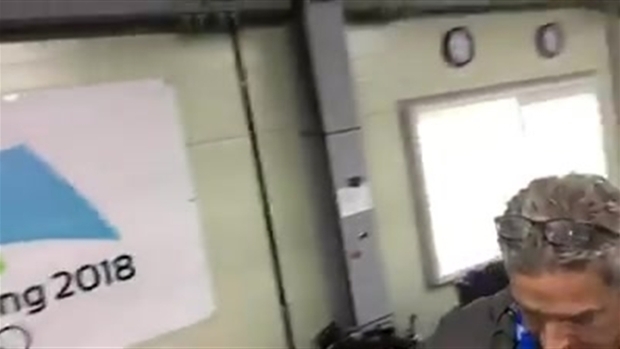 A Long Island man attending his 15th Olympics offers NBC Bay Area's Garvin Thomas a tour of his elaborate pin collection. Live from PyeongChang Olympic Park: Bronze Medalist Arielle Gold meets with fans and lets them take pictures with her medal. 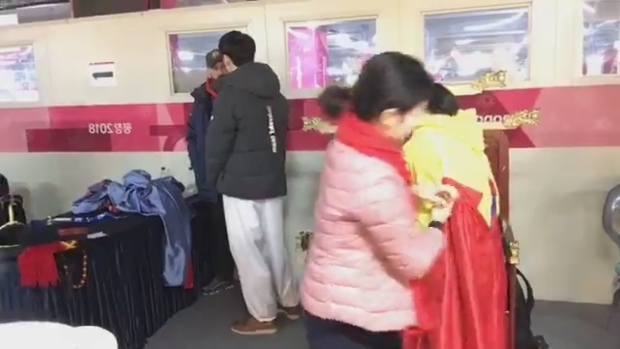 She also gives us a look at her heated Opening Ceremony jacket. 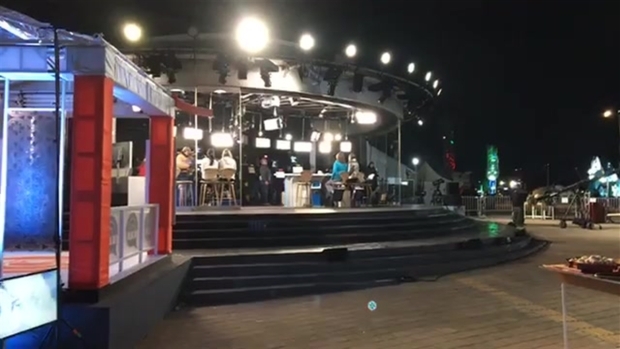 NBC Bay Area's Garvin Thomas provides a tour of the media village at the 2018 Olympic Winter Games in Pyeongchang, South Korea. 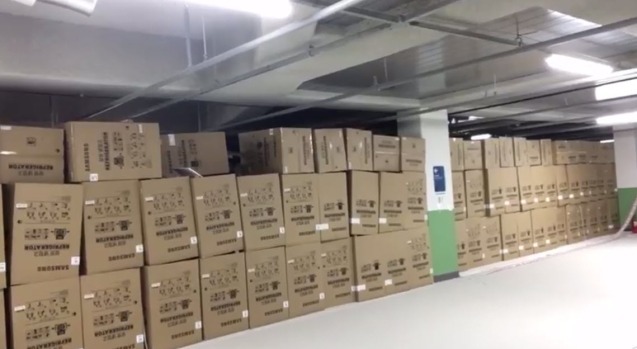 NBC Bay Area's Garvin Thomas shares the incredible number of wachine machines it takes to house the media at the Olympics. NBC Bay Area Garvin Thomas gives you behind the scenes of the Today Show. 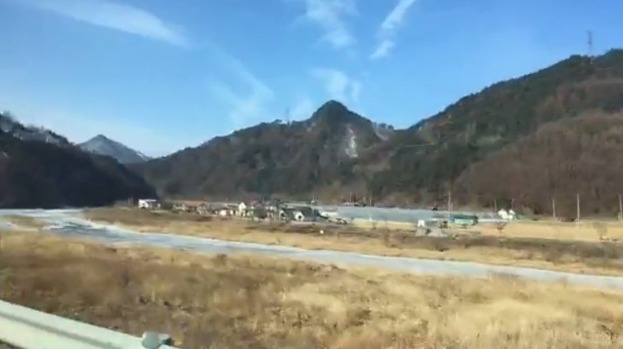 Live on a beautiful day in PyeongChang Olympic Park. We stumble across a parade and visit the world’ biggest Coke machine! 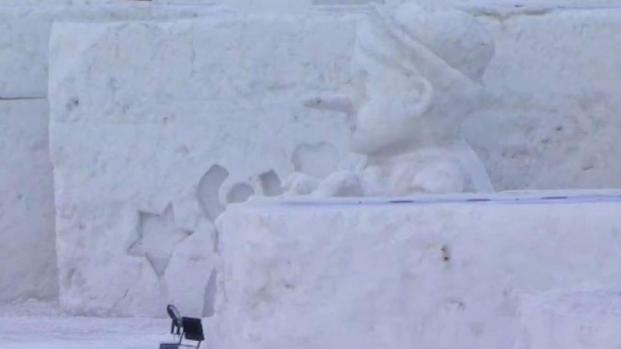 One of the cooler things to see at Olympic Park in Pyeongchang is the snow sculpture display, which actually is not an Olympics-related exhibit but an annual ritual for the city's winter festival. Garvin Thomas reports. 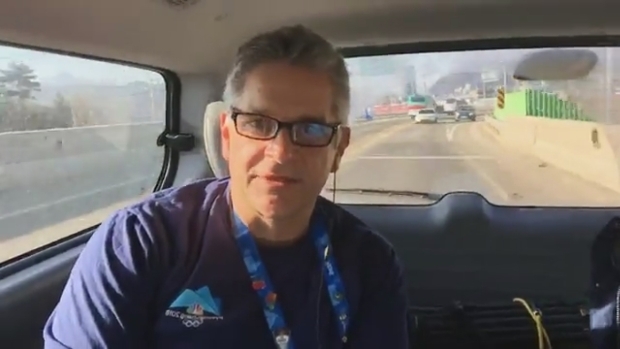 NBC Bay Area's Robbie Beasom and Garvin Thomas are live as they head to cover the Men’s Downhill event. 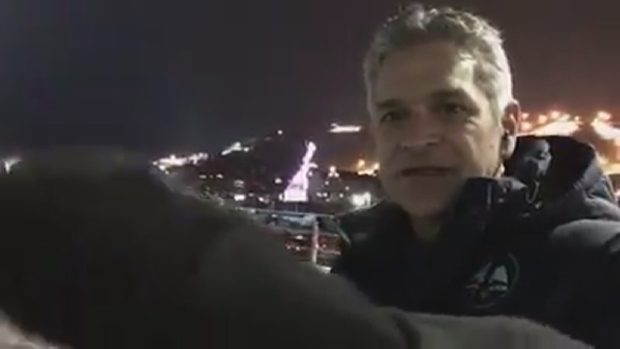 NBC Bay Area's Garvin Thomas offers a close-up look at some snow sculptures at Olympic Park in Pyeongchang. 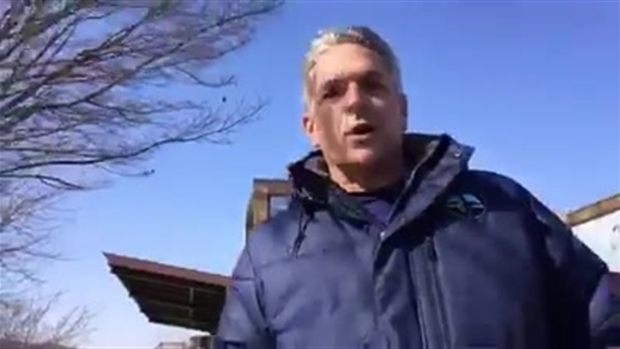 NBC Bay Area’s Garvin Thomas provides a brief tour of Pyeongchang before the 2018 Olympic Winter Games kick off. 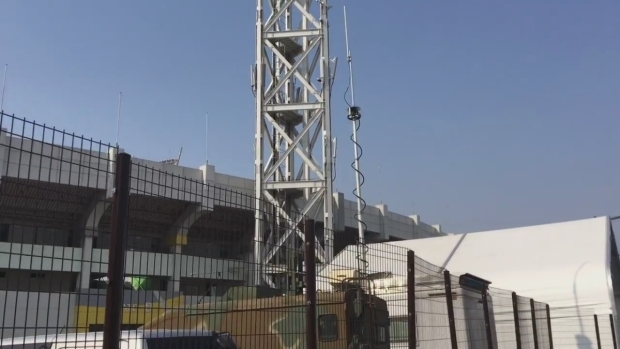 NBC Bay Area’s takes a tour of an area just south of the demilitarized zone that separates North Korea and South Korea. 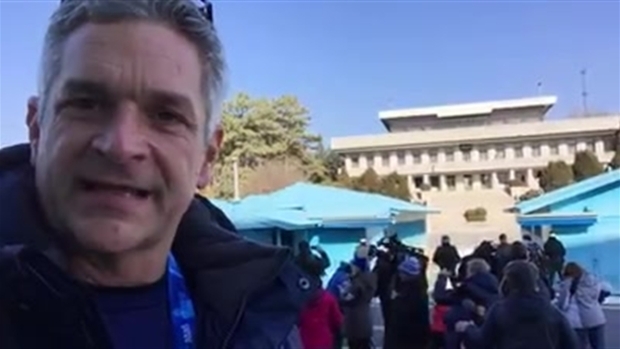 NBC Bay Area’s Garvin Thomas takes a tour of the demilitarized zone that separates North Korea and South Korea before heading to the 2018 Olympic Winter Games. 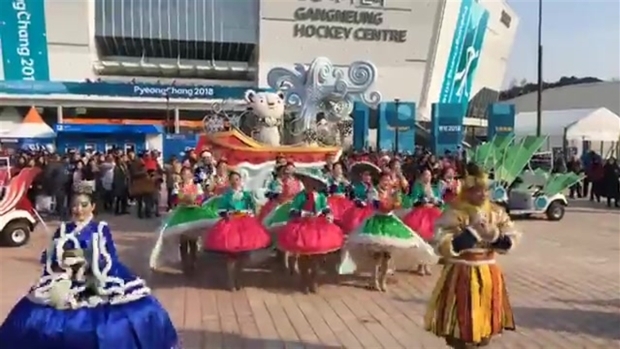 NBC Bay Area's Garvin Thomas walks around the International Broadcast Center and takes a peak at the venues at the 2018 Olympic Winter Games. 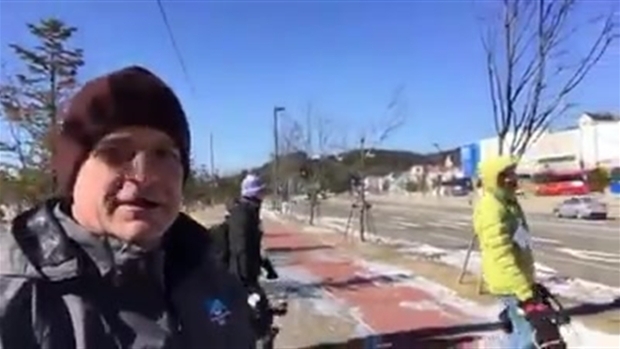 NBC Bay Area's Garvin Thomas takes a stroll outside the Pyeongchang Olympic Stadium before the Opening Ceremony of the 2018 Olympic Winter Games. 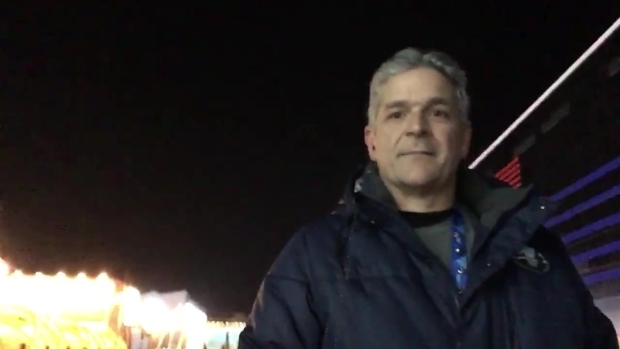 NBC Bay Area's Garvin Thomas takes a nighttime walk around Olympic Park in Pyeongchang. On our way to cover the men’s downhill (hopefully) and Squaw Valley Alpine Meadows’ Bryce Bennett. We hear there’s lots of wind on the hill. FYI, the bus was only 79 degrees. Garvin Thomas reports. At almost anytime, day or night, at the Coastal Cluster at the Winter Olympics you can hear the theme from "Titanic" blasting from loudspeakers somewhere. I suspect a North Korean plot to slowly drive everyone here at little bit batty. Garvin Thomas reports. 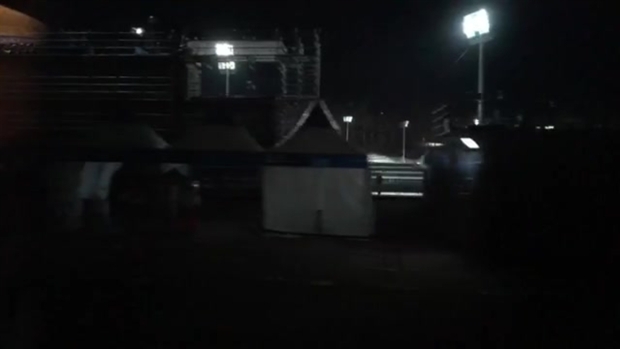 Taking a live walk around the Olympic Park in PyeongChang. What do you want to see? Garvin Thomas reports. Karaoke singers singing up a storm at the pavilion in Olympic Park. Garvin Thomas reports.